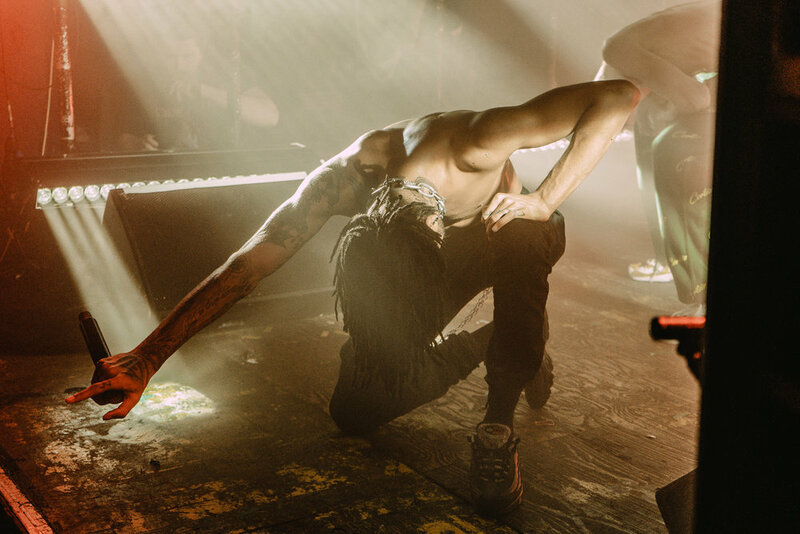 March 15th 2019 he released his newest album INFINITY and gave it a christening of fire with a Sold Out show at London’s Electrowerkz, we were there to witness the chaos. Entering the small venue, there was a buzz in the air about tonight’s show, everyone agreed that it was going to be memorable. 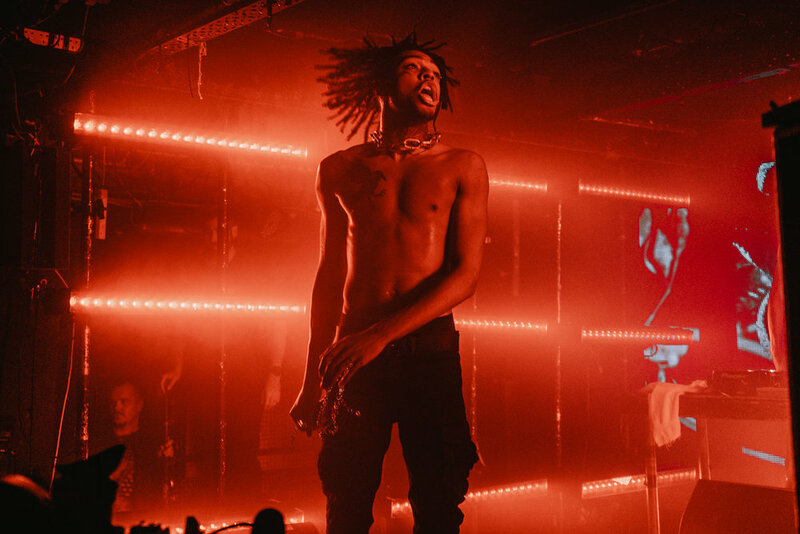 A huge countdown was displayed on the stage counting down to the moment SCARLXRD took to the stage, with screams from the audience the man himself strode on stage grinning manically before dropping into hit single ‘Heart Attack’! The crowd instantly lost their minds, moshpits opening up left and right, fans bouncing and screaming along with the bass heavy tracks. 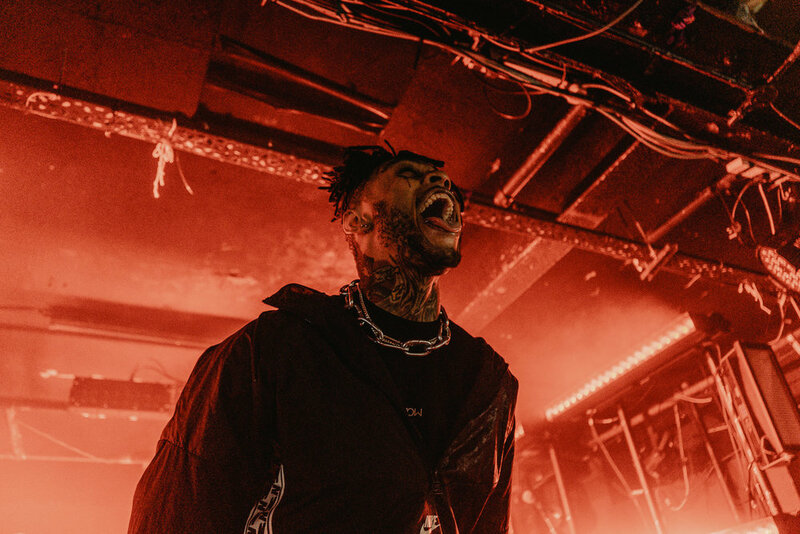 As said before, it is difficult to pin down what Scarlxrd’s style of music is, because at points it caters more to the rap and soundcloud fans but equally he wouldn’t look amiss on a line-up with predominantly metal bands; his mix of heavy bass and shredding guitars creates a truce between the genres. It being the album launch of INFINITY, he had to play a few tracks from it, the live debut of ‘HEAD GXNE’ was incredible; even though only being out a couple of weeks every person in that room knew the lyrics, it was hard to hear SCAR over the volume of the crowd! Other highlights came in the form of ‘6 FEET’ another hit single, new single ‘STFU’ and ‘King, Scar’ which got a huge round of screams from the hungry crowd. A quick shout out to SCARLXRD’s DJ Jacky P who is the most energetic DJ we have seen ever, he was showing the same amount of passion for each song as SCARLXRD, jumping up and down, clambering on top of the crowd and screaming the lyrics like a wild beast! 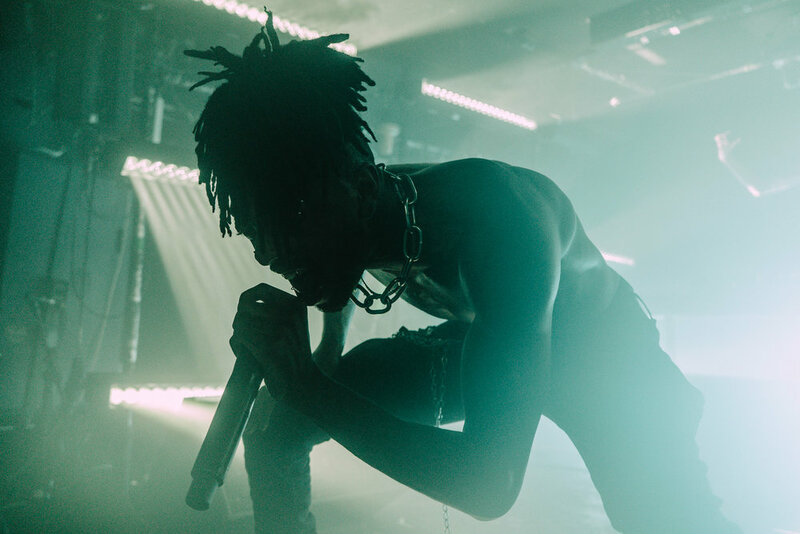 SCARLXRD’s quick rise to fame is a good indicator of how music is expanding and becoming infinitely more accepting, more and more musicians like this are coming out of the woodwork and they are getting the recognition they deserve! 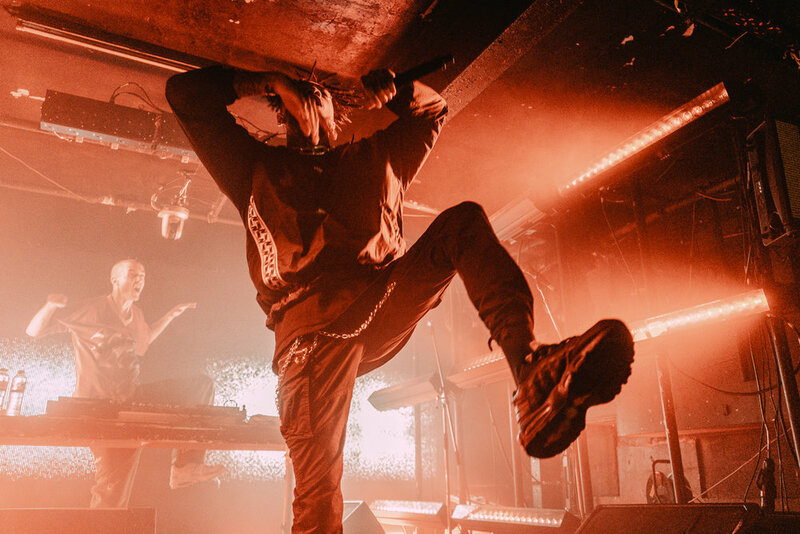 SCARLXRD in particular is heading out to support Bring Me The Horizon on their latest US tour and has also been asked by frontman Oli Sykes to perform at their self-curated All Points East festival in May! Exciting things are set out for this crazy trapmetal overlord in 2019, we are more than excited to see what he has planned!